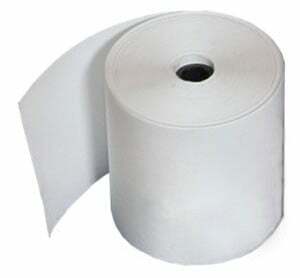 Zebra 8000D Kiosk 3.5 mil Receipt Paper - 2.25" x 645' Direct thermal 3.5 mil receipt paper. Single roll. Minimum 80 roll order. Receipt paper for Zebra printers.